At the gate, you leave everyday life behind. That's why people travel to Beaver Creek, Colorado from all over the world, and many make it a tradition. The drama of rock and sky, the sheer grandeur of this place, is one reason. That it is North America's World Cup mountain is another. 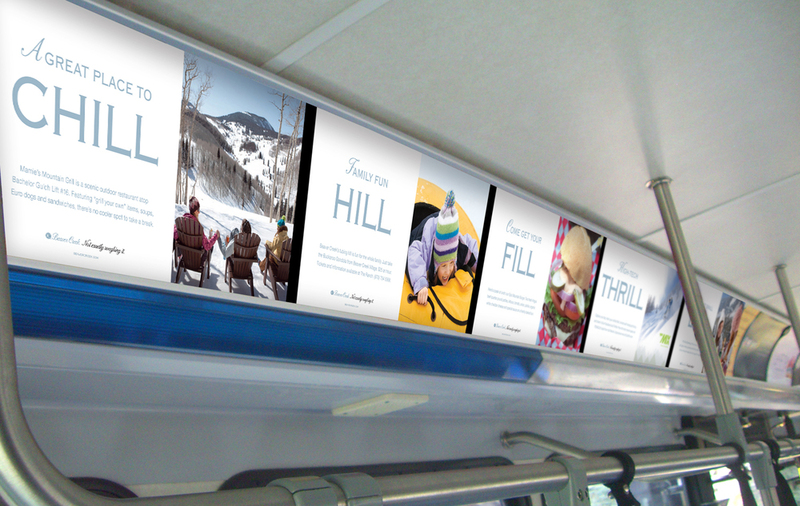 Markit Creative created custom signage which is placed throughout the entire mountain community, appearing in back-lit bus ads, chairlift ads, restaurant displays, village kiosks and retail stores.